The advent of online social networks is a huge, direct result of universal access to the internet and mobile communications, that followed inevitably the unprecedented web technology that we enjoy today. The internet has made communication instant and multidimensional. Today individuals and organizations can select from email, texting, messaging, Twitter, Facebook, Pinterest, Instagram, Skype, Goto Meeting and any number of other methods when they wish to communicate. The options are truly staggering, and that means information — and misinformation — can now be spread more efficiently and effectively than ever before. Companies ignore that kind of significant force of change at their peril. For LabLynx, embracing social forces for change has meant leveraging the likes of Skype and GoTo Meeting for live product demos and meetings, enabling interactive, real-time demonstrations and Q&A with anyone at any time, regardless of geographic location. Those same tools also provide instant communications within the company and with customers, leading to much more responsive, efficient and effective service. It has also meant establishment of sciCloud.net®, a social meeting place and resource headquarters for the entire scientific, healthcare and laboratory community. That means increased collaboration and coordination within the industry, as well as more easily available information, resources, goods and services. The other main aspect of this driver of change is its corollary of community-based activity and transparency. Always an advocate of transparency and openness, LabLynx has found a perfect vehicle in adopting community-based apps and solution packages as the foundation of its products and services (see sciCloud.net®). ↑ Madabushi, S.. “The Advent of Social Media”. Business 2 Community. Insider News Group. http://www.business2community.com/social-media/advent-social-media-0731811. Retrieved 14 September 2016. ↑ Polese, L. (4 June 2014). “10 High Risk Reasons Why Your Business Can’t Ignore Social Media Any Longer”. Audiense. Audiense Limited. https://audiense.com/10-reasons-business-cant-risk-ignoring-social-media/. Retrieved 14 September 2016. ↑ Lellahom, M.B. (5 December 2013). “Social Media as a Driving Force in Companies’ Sustainability Agendas”. Arab Business Review. 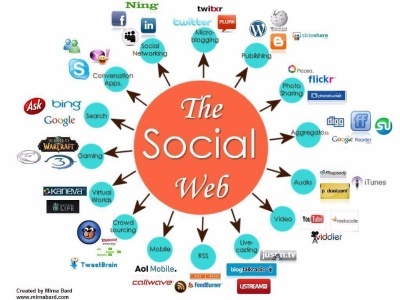 http://www.arabbusinessreview.com/en/article/social-media-driving-force-companies-sustainability-agendas. Retrieved 15 September 2016.